The first name was Phu Tho Research Center of Agri-Forestry which is under “French Nha Nong Chinh” (1918). In 1925, the first tea factory of Indochina was built in Phu Ho which used equipment for black tea processing imported from England and steam boiler generator. The research tasks were mainly tea, very beginning with coffee, oil crops and Wax tree (Toxicodendron succedaneum) in Phu Tho province. After the August revolution, 1945 until 1954, The Ministry of Agri-Forestry of the Government of Democratic Republic of Vietnam took over Phu Tho Research Center of Agri-Forestry. During this stage, as the effects of the 9 years’ war, this center had maintained only research activities on some main crops, such as tea, Wax tree and tung tree. 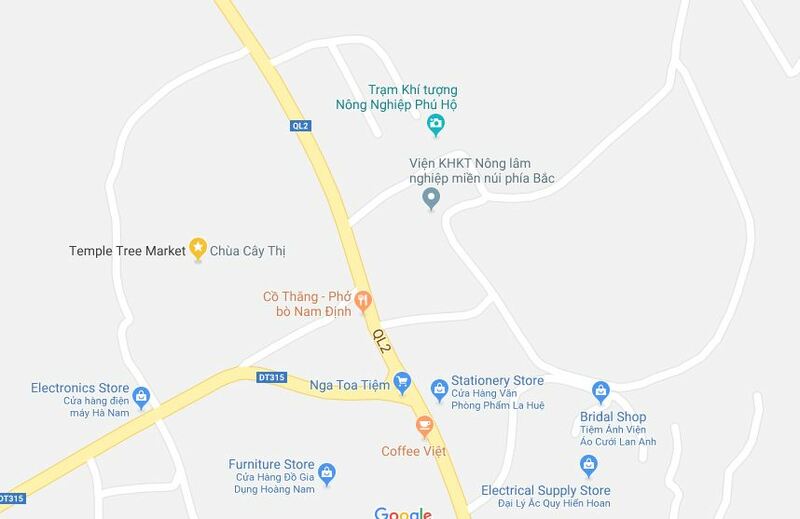 After that, the center had continued to develop and this center changed the name into Phu Ho center of Tea experiments in 1962. The main tasks were research on cultivation techniques, growing and processing green tea. In the same time, the center was successful on researching the new technique of tea reproduction called propagation by cuttings. This new invention opened the new period for tea variety selection by the line selection method which generated PH1 tea variety. From 1975 to 1984, the country was fully unified, Phu Ho center of Tea experiments was assigned to coordinate tea research programs whole country with government-level programs (denoted 02.060 including research and development tea in Tay Nguyen. Northern mountainous Agriculture and Forestry Science Institute (NOMAFSI) was established in accordance with the Decision No. 220/2005/QD-TTG of the Prime Minister dated September 9th, 2005 and Decision No. 3407/QD-BNN-TCC of the Minister of Agriculture and Rural Development dated the December 5th, 2005. This Institute now is under Vietnam Academy of Agricultural Science, based on grouping four members: Tea research Institute (under Vietnam Tea Corporation); Phu Ho fruit research and development center (under Fruit and Vegetable Research Institute); Northern mountainous Agriculture Research Center (Under Vietnam Academy of Agricultural Science); and BaVi coffee research center (under Vietnam Coffee Corporation). As resigning in Decision No. 08/2006/QD-BNN-TCCB of the Minister of Agriculture and Rural Development dated the February 2nd, 2006, the functions and tasks of NOMAFSI are scientific research and transferring techniques on agri-forestry for the development of Northern Mountainous region. The head quarter is located in Phu Ho commune, Phu Tho town, Phu Tho province. In the Phu Tho head quarter, the Institute has 250 ha land for scientific research, keeping a genetic collection with 170 tea varieties, 273 fruit varieties (13 species), 300 aerobic rice varieties, around 150 rubber varieties and a large number of rare and precious varieties which collected internationally and domestically. The building system of construction project for the Institute has been completed and used. The Institute also has a lab for soil and agricultural product quality analysis, an apartment for biotechnology and two factories. In Mai Son district, Son La province, the Institute has one research center (North West Agriculture and Forestry Research and Development Center) having 21.37 ha land. The Temperate Crop research and Development Center located in Sapa town, Sapa district, Lao Cai provine with 4 ha. NOMAFSI built an official website named www.nomafsi.com.vn in order to provide updated new on agricultural and forestry research and development, consulting development high technologies for cultivation, livestock, bio-technologies, environment, gardening, processing, and rural development in Northern mountainous region. We warmly welcome any recommendations for development of our website. Thank you for visiting our site and we hope this site will become your trustworthy news resource.